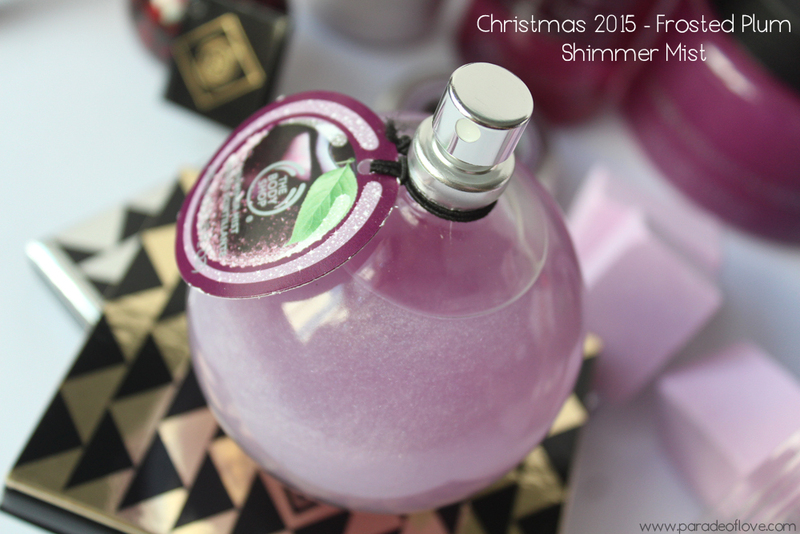 The highlight for this Christmas would be the The Body Shop®’s NEW Frosted Plum scent, alongside old favourites such as Frosted Cranberry and my personal favourite since last year, Glazed Apple! With sweet, sophisticated extracts of plum from the orchards of Turkey, the delectable seasonal Frosted Plum body care range has an elegant blend of ripe plum, magnolia and peony notes. 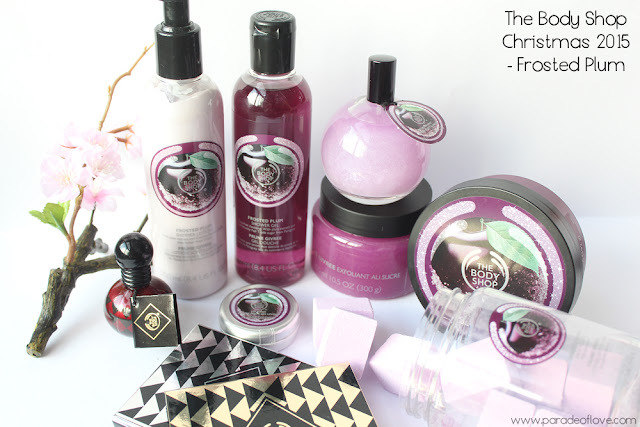 This special edition fruity-floral range is an irresistibly indulgent skin treat, ideal for the festive spirit! 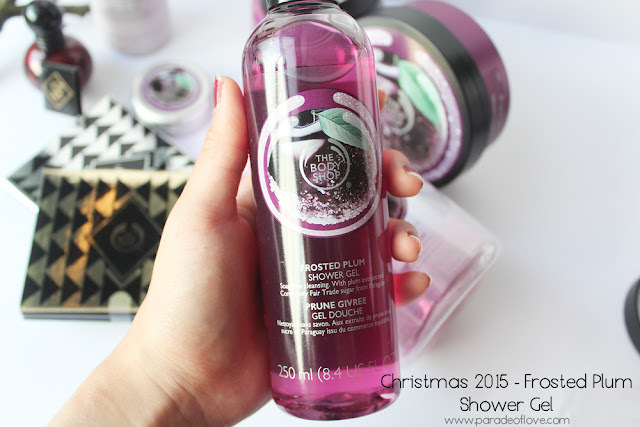 As with most of the scents that the brand carry, a shower gel is a must-have product! 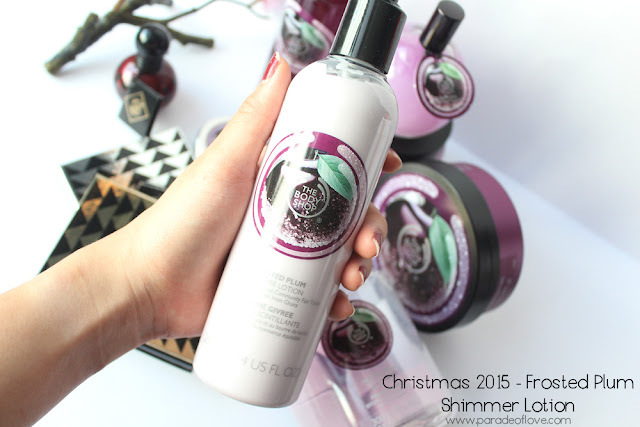 The Frosted Plum Shower Gel (S$14.90) smells so heavenly you can’t skip putting this in your Christmas shopping basket! My all-time favourites are Raspberry and Glazed Apple. Now I can add one more to my list of favourites! Add a bit of fizz in your bath to make bathing a little more fun! 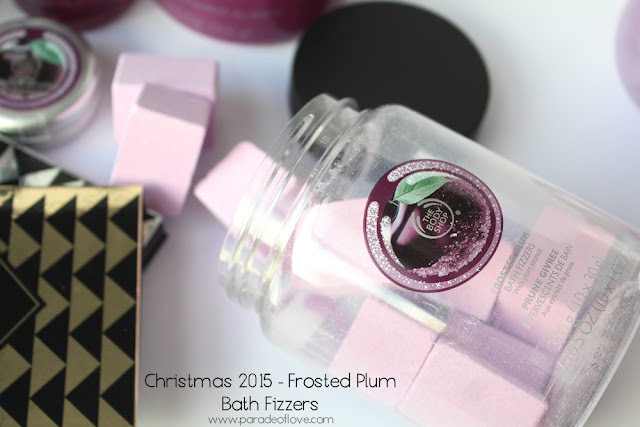 The Frosted Plum Bath Fizzers (S$39.90) are going to make your bath a memorable and fragrant one! 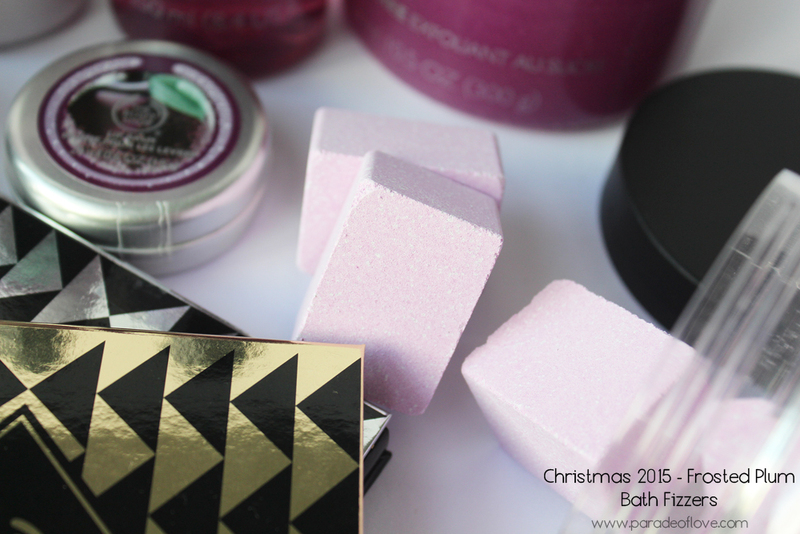 Just throw a cube into your bath and you’re ready to skinny-dip and come out smelling like sweet plum! For the people who love indulging in scented baths, I believe this is one of the most practical gifts for them! What’s a bath without leaving your skin silky smooth and soft? Exfoliate away with the Frosted Plum Sugar Scrub (S$34.90)! 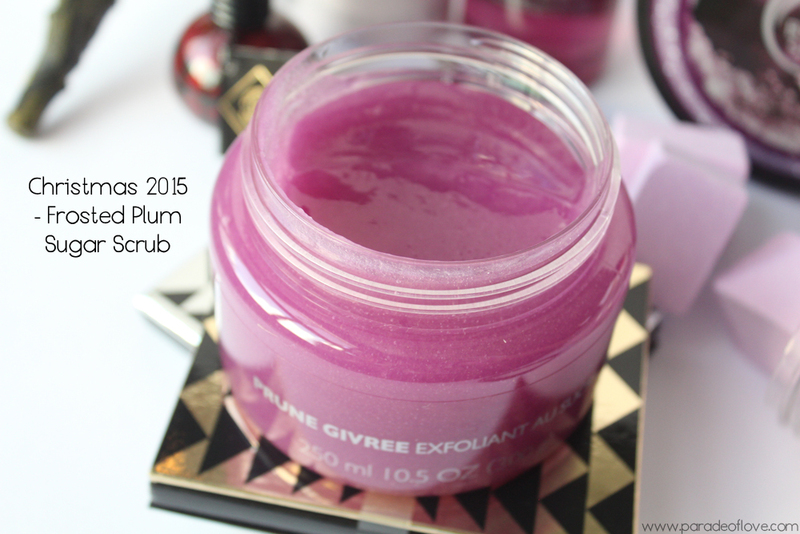 One of my choices for this luscious scent is the sugar scrub! Pop open the lid and you’ll feel like tasting the mixture already (please don’t)! Since it’s a sugar scrub, it contains large sugar crystals for you to effectively exfoliate. It really leaves your skin feeling soft while making you smell edible. Beware of anyone trying to come too close! Hehe! One of The Body Shop®’s iconic product is the Body Butters! How can we ever forget the super moisturising yet tantalising body moisturisers?! 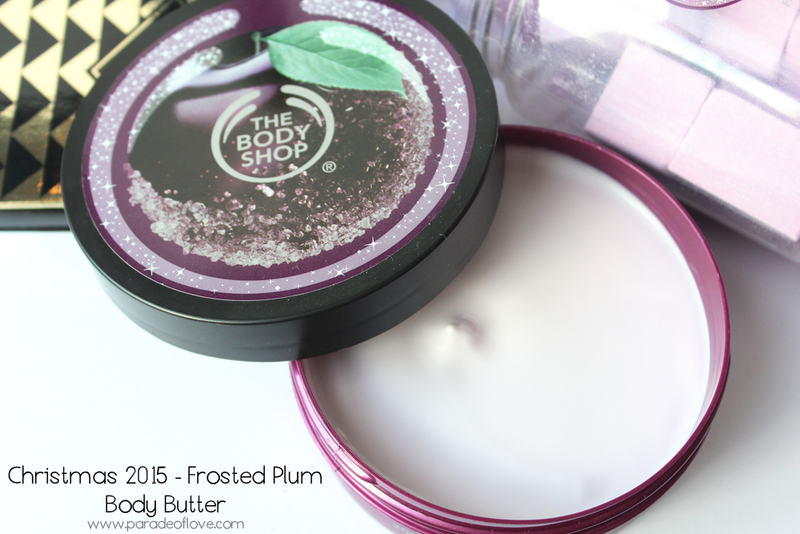 Frosted Plum Body Butter (S$32.90) is sure to complement your after-bath routine. 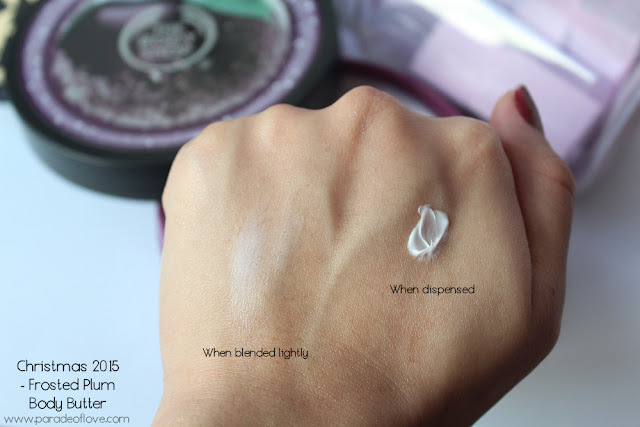 Don’t be afraid to slab it on your skin generously because the body butter absorbs in a flash, even before you realise it! 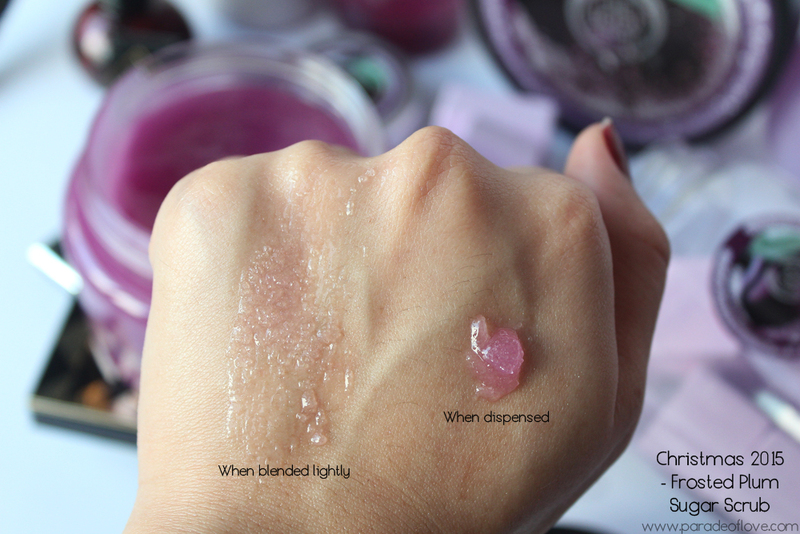 That’s one thing I love about The Body Shop®’s body butters! Want your skin to glow naturally for your festive parties? Then you mustn’t skip the Frosted Plum Shimmer Lotion (S$21.90)! It is a super hydrating body lotion that leaves your skin feeling soft and silky while giving you subtle shimmers on the skin! Not to forget, you’ll smell so delectable someone might just try to lick you 😉 Haha! Not too sure if you are able to see the sparkles but it really has got very fine micro glitters to make your skin sparkle in light. 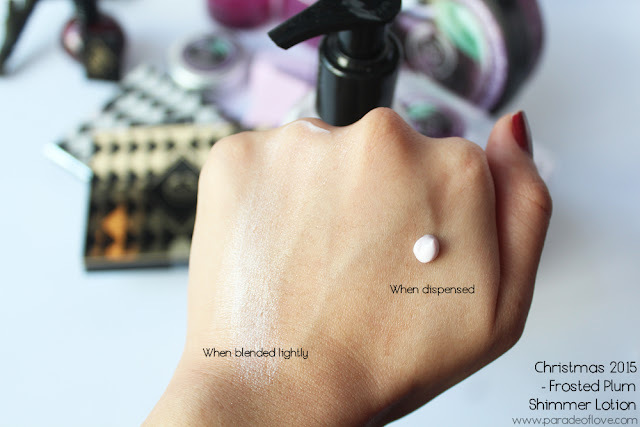 If you are adorning an off-shoulder dress or tube dress, this will come in handy for you to make your décolleté shine! 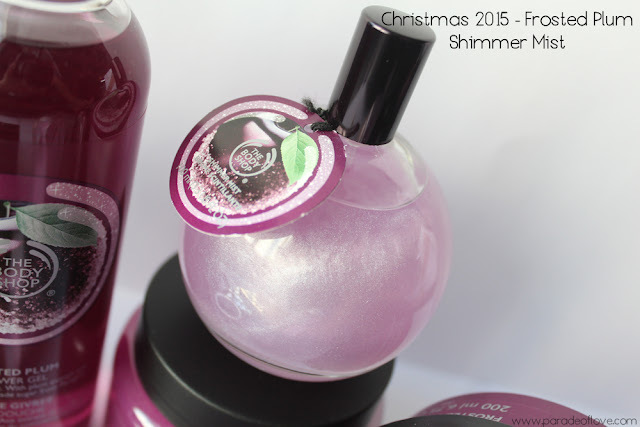 If you are looking to skip the shimmer lotion but still want some sparkle on your skin, you can opt for the Frosted Plum Shimmer Mist (S$)! It’s the most beautiful thing in the collection because it has silver micro sparkles in it that will swirl around when you shake the little round bottle. It’s like magic in a bottle, isn’t it? The Body Shop®’s Christmas 2015 Frosted Plum Collection also comes with Hand Cream (S$12.90), Home Fragrance Oil (S$12.90), Candle ($36.90) and Soap (S$6.90), available in-stores from 5 November onwards. 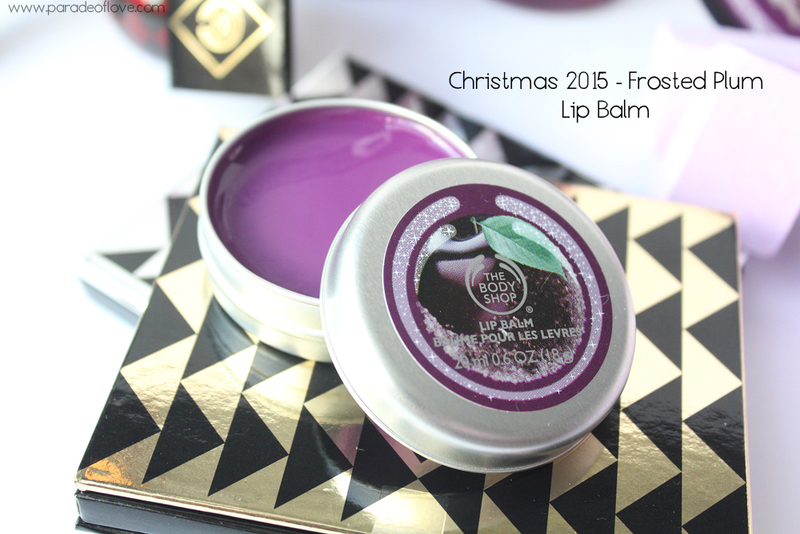 Disclaimer: Products were given by the team from The Body Shop Singapore for my consideration. The above review is based on my true and honest opinion without influence from others. It also contains information from the brand itself. I am NOT compensated by/nor affiliated with the brand.